In recent times, only George Florescu was better ranked in the list of unpopular figures in the mediocre national team that failed to qualify for a final tournament since 1998. What few people know is that these two had a similar start of their professional career, Florescu and Cocis leaving Universitatea Cluj, when they were 17, in a controversial double transfer to Sheriff Tiraspol, and playing afterwards in Ukraine and Russia. If Florescu, who was a regular starter under Razvan Lucescu, failed to convince the current coach, Victor Piturca, during the friendly against Austria, played last June, Cocis returns to the team even if he was left out for the double against Estonia and Andorra, for the relief of the entire country. He featured last time in August, against Slovenia, but now he will not only get back in the fold, but seems to have strong credentials for earning a spot in the starting eleven. 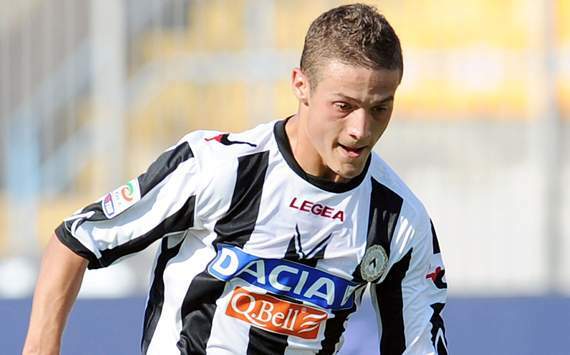 Once again, negative comments surfaced, but they’re unlikely to make Piturca change his mind. Quite on the contrary, considering the man’s stubbornness. The public’s opinion, fueled by several coaches who analyzed the 29 years old’s game, is that Cocis is the sort of midfielder who can play everywhere, but won’t impress anywhere. ‘Tactical discipline and a good engine have made him invaluable in recent times though, when whoever coached Romania thought first to block the opposition’s game rather than try to create play. He has collected 43 caps and the fact that he scored only 2 goals only proves that he usually adds a defensive intent to the attacking positions he covers. He’s expected to do the same in Istanbul, on Friday, when Piturca thinks to deploy him behind the lone striker in a 4-2-3-1, but mainly to frustrate the Turkish build-up rather than support either Marica or Stancu, with the latter favored to start ahead of the Schalke backup striker, considering the excellent start of season he’s enjoying at Orduspor. Outstanding on the ball, mature and fully fit, Sanmartean is the best attacking midfielder in Liga I, but not good enough for the national team? Victor Piturca selected 23 players for the midweek friendly versus Slovenia, 9 of them coming from abroad generally with problems at their clubs that could get a helping hand from this call-up. If Lazar, Papp, Rat and Stancu are enjoying a good status, Marica is on Schalke’s black list for some time, Lobont fights for a place on the bench, not between the sticks, Torje needs to impress on loan in La Liga, while Tamas has no idea if WBA’s change of manager will also change his fortune. Add to this the level of Liga I and the lack of outstanding performers over here and it could make some sense to think about players like Adrian Mutu or the retired Cristi Chivu. Piturca explained that he’s still waiting for the two, but the striker needs to find himself a decent team and prove that he can reach a decent level of form, while Inter’s defender should come back on some recent statements that lead everyone to believe that he’s seriously considering a return to international football. If not all the fans/journos are excited about it – a view I personally don’t share -, Piturca certainly is, explaining that the current team needs someone to look up to and finally Chivu (and not Mutu!) is considered the sort of player and personality that fits the leader’s profile. Raised in Gheorghe Hagi’s Academy, the U19 international Cristian Gavra was called to Amsterdam to train for a week with Ajax. Another hot prospect from Viitorul Constanta, Bogdan Taru, went with him, but if the central defender returned to Romania, the promising striker was informed that he will stay for another week. Born in 1993, Gavra was a key player in the U19 alongside Taru, in a generation praised for reaching the Elite Round in the qualifying campaign for the European Championship, but later accused for failing to get the tickets for the final tournament. He’s one of the 19 players from Hagi’s Academy who got called up to Romania’s different youth national teams since the beginning of 2012, but could become the first to “graduate” and make the step towards a very big club. Best of luck to him! Is Hagi the key in Chivu’s tranfer to Galatasaray? Hagi always admired Chivu for his quality as a player and person. So, either a serious wage cut and a backup role in Stramaccioni’s Inter (totally deserved, for his below par performances in the last couple of seasons) or a salary and a contract length closer to his demands from Galatasaray, a club which offered the perfect, well deserved career-ending for two of Romania’s greatest players, Gica Hagi and Gica Popescu. A quiet life in Milano, where his family feels at home or a move to the passionate Istanbul, which would challenge not only him as a player, but also his family? 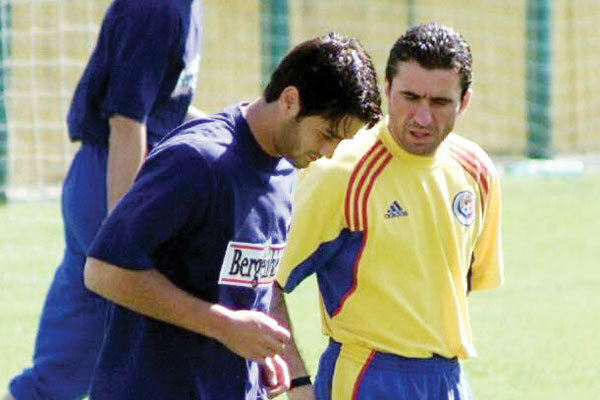 Chivu’s choice was already difficult, but Hagi stepped in and, after the 31 years old had a first talk with Fatih Terim, accepted to work as link between the player and the club he loves. Asked by The Emperor to help him “get to know Chivu as a person”, Hagi most likely had the nicest words about one of the best educated and well-behaved Romanian (and not only) footballers of the last decade: a family man, with a very quiet life, which unfortunately didn’t spare him from a serious a injuries that usually haunt a different type of players, who look to enjoy every minute spent far from the pitch. The only way is back? Torje, Stancu, Deac, Ionita. Four young players who have moved abroad in exchange of some hefty transfer fees, but have failed to deliver. Is it only their fault? The hype around him was incredible and not even a month had gone by since his Serie A debut and the Romanian press was full of rumors speaking about interest from Arsenal and, why not?, Barcelona. We were talking after all about „Romania’s Messi”. Everyone overlooked the fact that Torje had to play regularly for 4 consecutive seasons in Liga I to convince a foreign club come up with the millions, everybody was talking about the leagues ability to still deliver top young players, although, at 21, over 90% of the Romanian players have less than a full season of games under their belt. And they’re both too old and lacking enough top flight experience to attract the sort of bids the unrealistic owners expect. Indeed, Torje had a promising start in Italy, with three assists in his first three games, but the fact is: he never lasted for 90 minutes on the pitch; he didn’t score a single goal; he slowly lost contact with the first eleven and, lately, with the team, playing his last game on the 18th of December. Still, although I expect Arsenal and Barcelona to have called back to base their scouts :-), it’s way too early to call him a flop. Apart from the struggle such a small sized player raised in Romania would face in order to adjust to the Italian style, Torje also pays the price for being part of a team that uses the worst possible tactical setup as far as he’s concerned. He’s a natural winger who cannot play on the right side of a midfield of five, with no fullback behind to provide cover. He’s also not at all comfortable upfront and it’s not really a surprise to see a wide player struggling in the middle, in front of compact and expert defensive lines. If Guidolin had gambled on Torje’s ability to adjust, it’s an expensive and losing bet. Which leads me to the second case. I wasn’t surprised to see Deac heading for the Bundesliga and was actually convinced that he would deliver. Until I’ve read Felix Magath’s statement: „Deac will be our number 10, our playmaker.” Another natural left winger, this time gifted with less technique and flair than Torje, but definitely very well prepared physically and counting on a very good left foot, was going to struggle. Although the training sessions had convinced him that even one of the fittest players in Liga I will need time to adjust to the extremely exciting German league, he also realized that the tactical challenge was too big. After 90 minutes of Bundesliga football and a lot more days of sharing the dressing room with the legendary Raul, Deac had to return to Romania to regain his match fitness and his confidence. With 5 goals and 4 assists in 17 matches for Rapid, playing as a wide forward in a 4-3-3, he looks again in good shape, but will probably never play for Schalke again. A case of poor scouting? Or bad judgement from Magath? Because Deac wasn’t like Ionita, my next example. After one season in Liga I and 10 goals in the top flight, Ionita was moving to 1.Bundesliga in exchange of more than 2 million Euros. 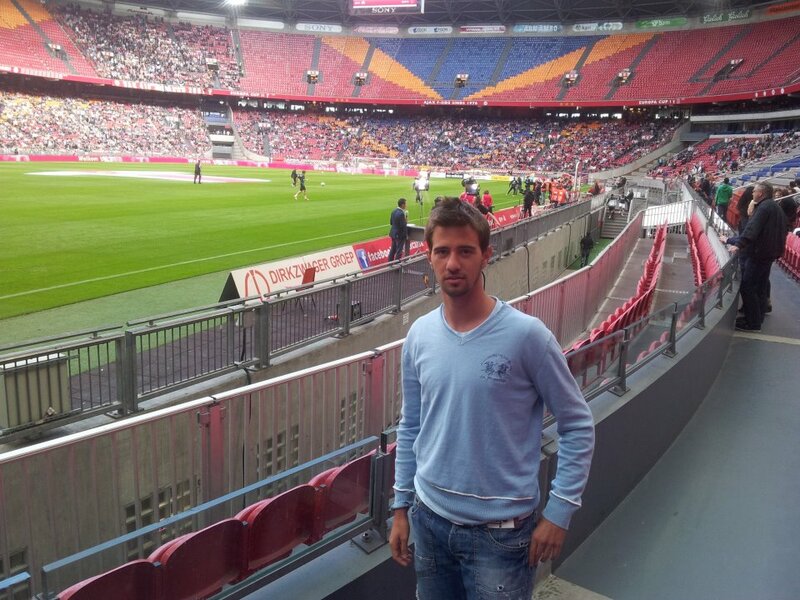 The coach was Zvonimir Soldo and he was so keen on the striker that Ionita collected 105 minutes for FC Koln. In 1 and a half seasons. Okay, Soldo was sacked in the meantime, but now the striker had to hope that he’ll be allowed to take the same route that saw an impressive number of Romanian players return home with more money in their bank accounts, less memorable game. Actually, with the last official game difficult to be remembered. Poor scouting, terrible decision to pay such a fee upfront on a striker with no Liga 1 experience by the age of 21, who had a promising first season in the top flight. Unlike Deac, who minded his business and tried hard in training to earn chances to play, Ionita was clever enough to “win over” the fans by saying their girlfriends, sisters or wives aren’t that pretty. After that he probably failed to score at all while in Germany, not just in the eight Bundesliga appearances as a sub. Bought by Galatasaray when Gheorghe Hagi embarked on another adventure as a coach, this was a deal that I never bought as real, based on footballing matters. When a player rated at not more than 3 million Euros goes in January for double that sum, it’s something that will eventually affect the guy everyone will be looking at on the pitch. After 13 goals for Steaua in Liga I (again, we’re talking about the first solid season of his career! ), the 23 years old added just 2 in 14 matches in the Turkish first division, playing mostly as a left winger (totally out of position) in a troubled Galatasaray’s squad that was going to quickly offload their legendary former player and leave Stancu’s future in limbo. 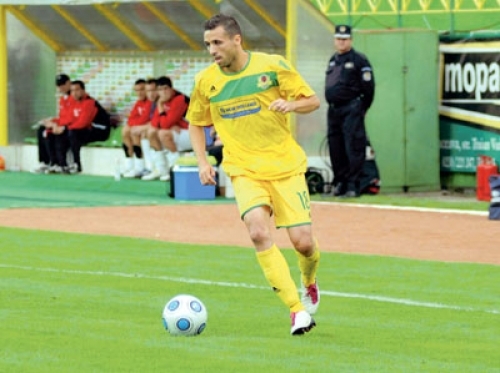 Impossible to get back in Liga I so quickly and with that wage – the player also stated his ambition to succeed abroad -, he nailed a good move with the loan to Orduspor. He’s playing mainly as the only striker (again, not his best role, but close enough) and the results are encouraging, although some Turkish followers of my Twitter account say he’s not good enough for Galatasaray, the 8 goals in 24 matches for a mediocre team prove that he’s quality. Not 6 million Euros quality, but as Romanians say, a fool isn’t the one who asks for the money, but the one who accepts to pay. Pantilimon’s loan to Manchester City has ended. He’s now a true citizen! 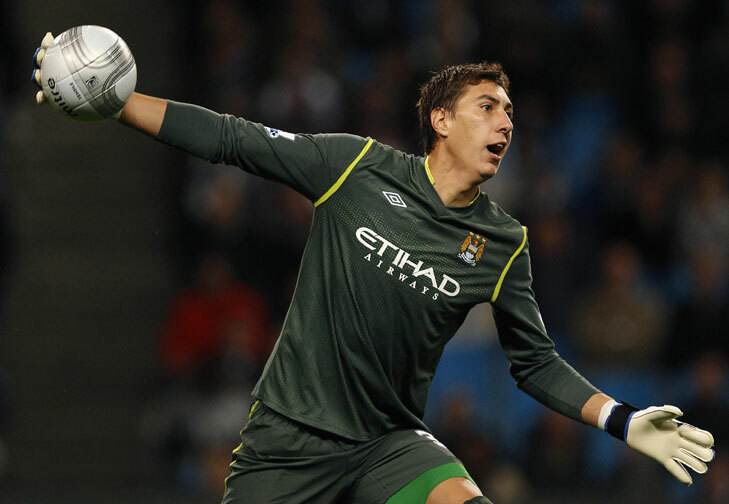 Pantilimon will stay on as City's number 2 keeper. Photo from premierleague.com. City paid 3.5 million Euros to make the deal permanent and, according to the keeper, he will stay in Manchester “this year and the following two”. 30% of that sum should go to a third division club, Aerostar Bacau, from where Politehnica Timisoara had bought the national team player seven years ago for only 50.000 Euros. The great Gheorghe Hagi was the man who asked for the transfer to be done, the same underrated coach who insisted to play with Gabriel Torje when the current Udinese man was only 16 years old. “I’m training and waiting for my turn”, says Pantilimon, happy enough to started in 4 games this term, 3 times in the League Cup and once in the FA Cup, keeping two clean sheets in the process (against Wolverhampton and Arsenal), but failing to help his team take out United in the FA Cup, when he was defeated three times.